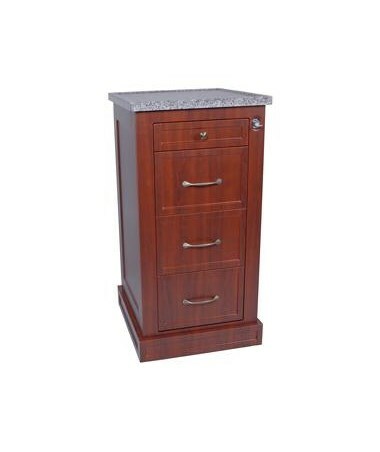 The Harloff Wood Laminate 240 Punch Card Medication Cart is a medical storage device designed with an all-natural furniture look without sacrificing functionality of standard Harloff Carts. It is an optimal choice for hospitals, medical facilities or in long-term care. Sturdy and Reliable. 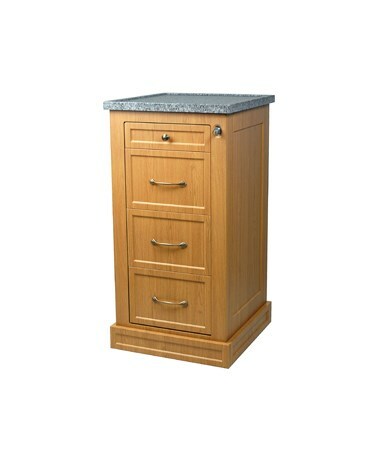 Built on an aluminum base with an internal frame, the Medication Cart features MDF panels that are covered with a special heat-pressed thermal foil laminate to give it that rich wood appearance. 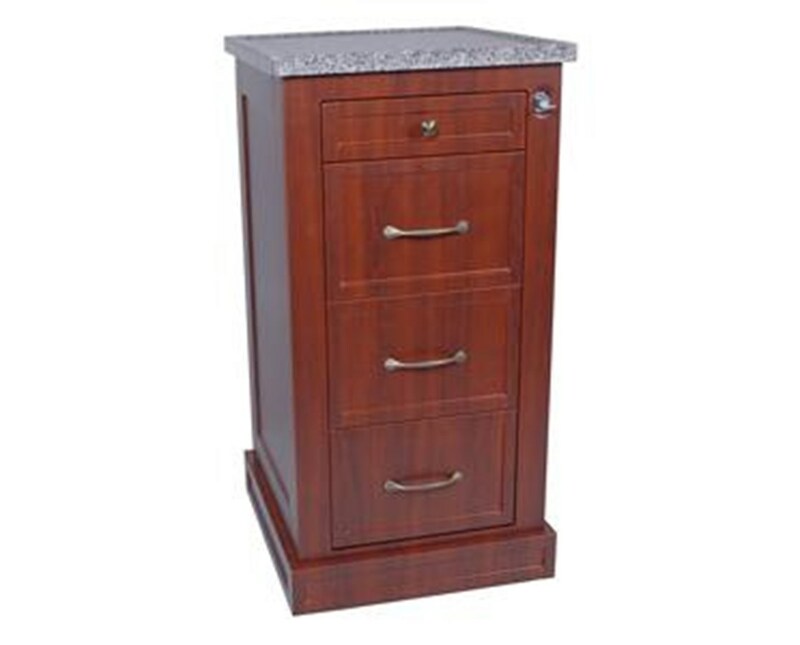 It contains 4 aluminum drawers with an optional locking narcotics & liquid storage box within a 9.75" punch card drawer for quick and easy access. With how it is made, the cart is easy to maintain and clean with soap and water. Functional. The Drawers are mounted on ball-bearing, full extension slides. A cart can be configured without a Narcotics Box (One - 4" multipurpose drawer and three - 9.75" punch card drawers with dividers at a 240 card capacity) or with a Narcotics Box (One - 4" multipurpose drawer, Two - 9.75" punch card drawers at a 240 card capacity and One - 9.75" Drawer with 1 Divider & a locking narcotics box that offers effective storage and accessibility. With how functional the cart is, it is perfect for a variety of situations and work environments. Hassle-Free Movement. Mounted on 4" premium ball-bearing full swivel casters with two toe locking brakes and one directional, the Wood Laminate 240 Punch Card Medication Cart can easily be moved around the facility and have an included bottom skirting to conceal those casters.